Download all the tutorial files from here, unpack the zip file, and place the contents where you like. Go to the Cacidi Extreme or Cacidi LiveMerge palette fly-out menu and open the Project Settings dialog box by selecting “Project Settings..”. 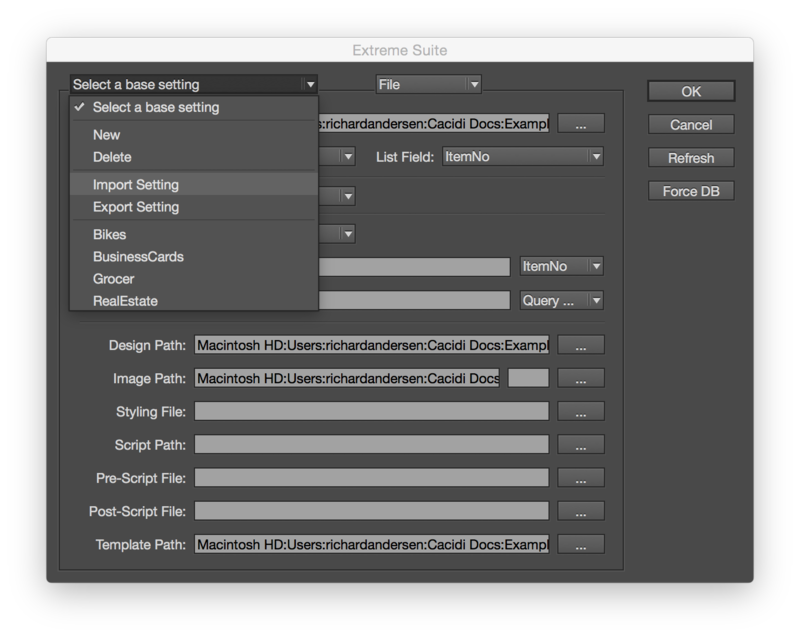 The dialog box title can show “Extreme Suite” og “LiveMerge” depending of which palette open up the dialog box. Then Import the XML file named Tutorial.xml. All tutorial projects will be added your project list. If you have downloaded our latest plugins CC or CC2014 november 14th. 2014 or later, all file path are corrected to match the filepath of the xml file location. For versions earlier than November 14th. 2014 or CS6 versions, you will have to correct the file path manually. no content yet to download ? Hi Bart, The full package are available right know, remember to download and install the latest version of the plugins, so all the filepath are corrected as described in the article.